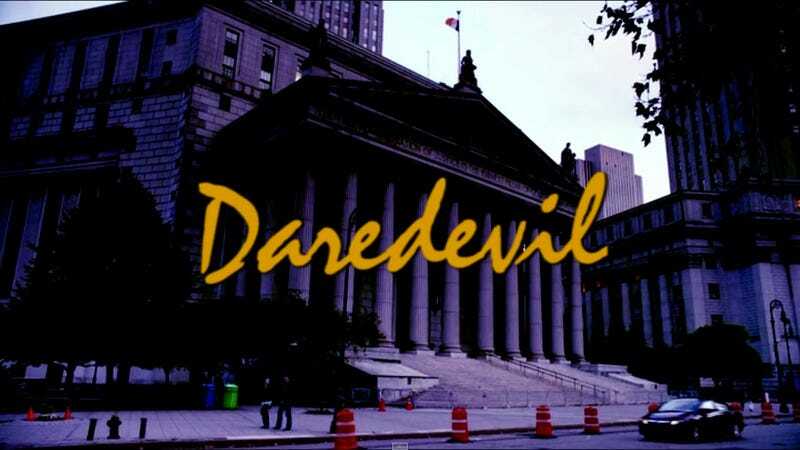 Daredevil, Marvel’s new show on Netflix, has been a hit with audiences and critics alike. And while it has its own stylized opening, the dark vigilante series could use an intro that entreats viewers to witness the lighter side of Matt Murdock and his companions. Popped Culture decided to make that intro by modeling it after another legal-minded TV show set in New York City: Night Court. Using the same font, song, and a lot of similar shots in its edit, Popped Culture does an excellent job mashing up the two to reveal a sunnier version of Hell’s Kitchen. To be fair, there are multiple similarities between the two. You’ve got a large cast of wacky characters, some legal proceedings that are mostly background to the hijinks, a large bald man who is easily an audience favorite—and there was that one Night Court episode where Dan Fielding also gouged out a criminal’s eyes.